April has felt like a month of anticipation. The weather teases us and the calendars are all saying- spring is here; summer almost is too. Easter seems so long ago already (though, if you want to capture the magic, I did a Cinema Style post for Easter Parade!) We have only a month of school left for my students and even less for my graduate classes (eeps! ), but the days are flying by so fast that we're daydreaming about trips to take this summer. Meanwhile, Stella the Fox Terrier has been loving that it is warm enough to swim. Speaking of spring, if you're looking for something else to sweeten yours, you might try something from this month's Why Don't You... list; read this book; or try popping in one of my favorite films. I'm updating my wardrobe for the weather, and thinking about ways to make people's mailboxes happy. There's some new-old favorite items on this month's Stationery Wishlist, or you could try getting a Le Tote Box, or writing "Open When" Letters. What are you doing to enjoy the warming weather? Springtime is all about flowers, so here is the perfect Rose, and Cherry Blossoms in bloom. Yes, there really are Camel-riding Robots. Katerina has some advice on what to do after you're done spring cleaning on your closet. You know I love a good cup, so: Tea around the world. This may be only because I teach about Ancient Egypt, but these are hilarious. Do you join Instagram Communities? Vanisha has some great suggestions. I'm loving you with your hair up recently and your spring looks are killing it. 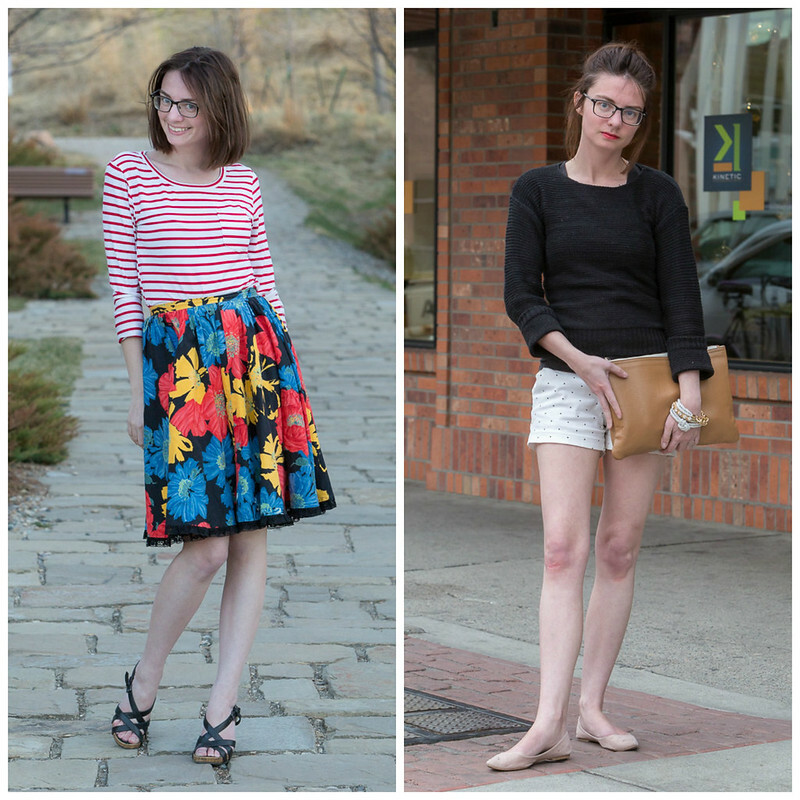 You had some really great outfits this month! 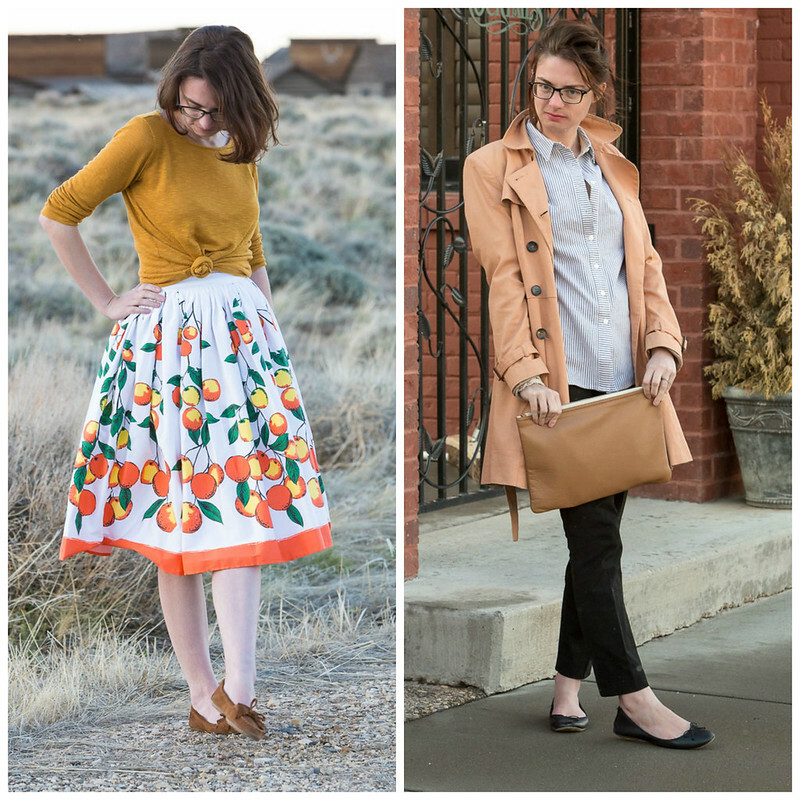 Such variety in your looks, and I'm still so jealous of that citrus skirt! The article about the woman who woke up in the future is fascinating! It sounds like the premise for a book or a movie. But, what a scary thing to happen! Don't wash tennis balls! Awesome link about laundry symbols. I feel the same way about car warning symbols. Stephen and I have a joke about the one which symbolizes a problem with tire pressure. It's an exclamation point inside a flat tire, but I thought it was a pot on the stove. Warning, boiling pot! Lobster in the pot! I laughed trying to figure out what that symbol must look like... and I'm trying to visualize where you would see such car warnings. Like, an instructional manual better have actual words.